Recommended by consumer and jewelry trade reviewers around the world, it is already in use in over 100 countries and has been translated into Spanish, Arabic, Greek, Hungarian, Russian and Japanese. 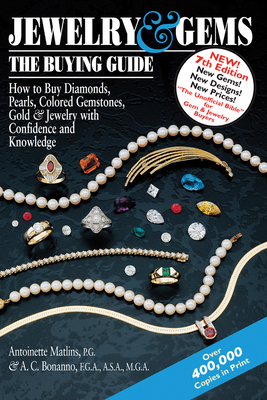 Over 400,000 copies are now in print and this revised, updated, expanded edition covers even more: buying and selling on the internet, dazzling new diamond cuts, recently discovered gems ... and new treatments and trickery to look out for. There are fascinating mythical and magical tidbits, and practical tips that could only come from an insider. In simple, straightforward terms you'll learn about the four Cs and how to juggle them to get what you want, at the price you want to pay; what to look for, and look out for; all about gold and platinum, jewelry design, and some of the country's leading designers. You'll learn what questions to ask and what to get in writing, and even how to select the jeweler, appraiser, and insurer.